How does a good robot do good? 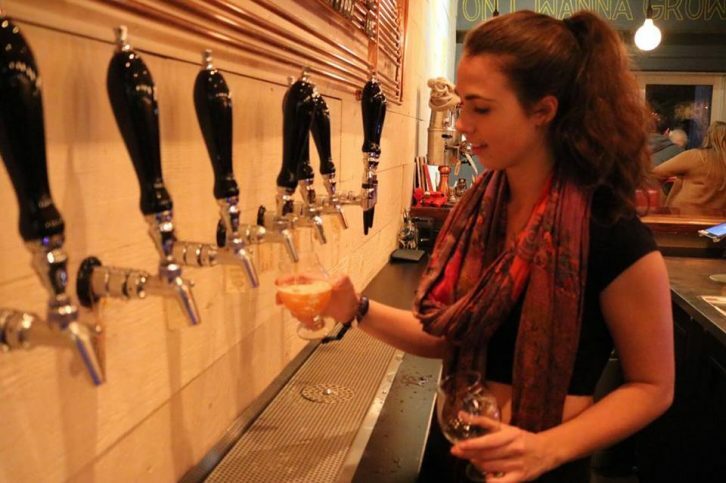 Even as Good Robot Brewing Company was making headlines after noise and other complaints were filed by the neighbouring Islamic centre, the Robie Street brewery was giving back to the community. 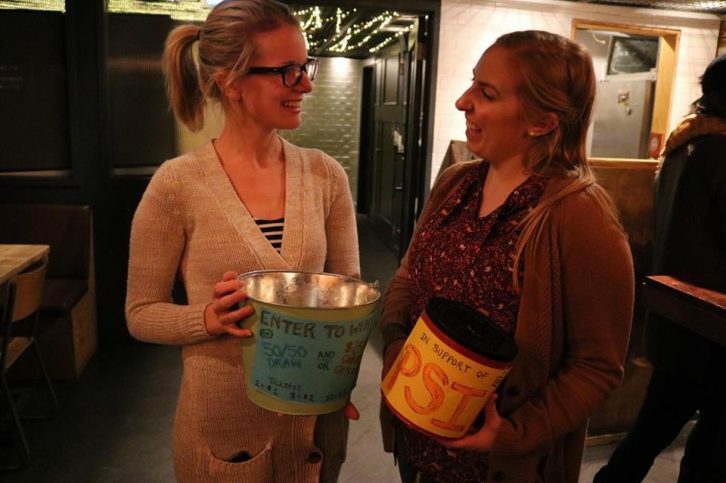 Each week since opening its outdoor beer garden in the spring, it has hosted charity events for non-profit organizations dubbed “Good Willbot” nights. Since announcing the Good Willbot program, Good Robot co-founder Joshua Counsil says the company hasn’t turned down an application. 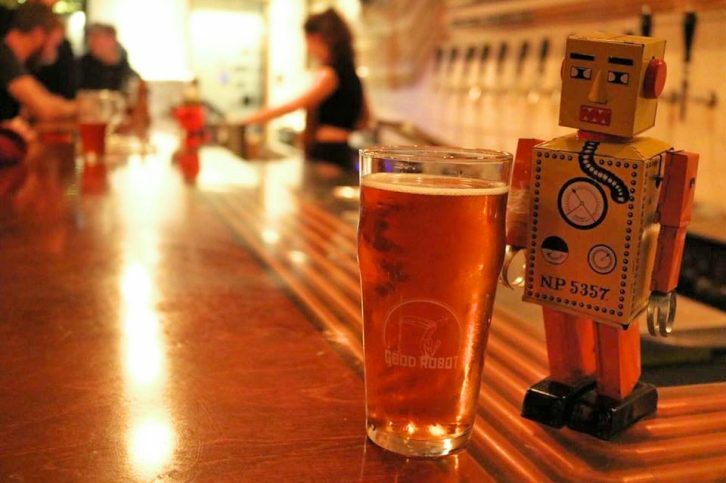 Along with giving these organizations a venue, Counsil says Good Robot donates $1 from every pint of beer sold that day to the charity. Counsil says Good Robot is asked two or three times a day for donations from charities, but can’t help out everyone. Counsil believes Good Robot’s “fun environment” allows for more creative events. Some memorable Willbot nights for Counsil include frisbee golf on the gastro-turf and a bike-in screening of the movie E.T. Last Monday, Good Robot was packed with Saint Mary’s University students. Acoustic music and laughter filled the room as Peaceful Schools International held a fundraiser for a trip to Northern Ireland. Peaceful Schools International student coordinator Meagan MacPherson says the group needs to raise more than $20,000 for this year’s trip. She says the trip’s goal is to teach peace education and conflict resolution in primary schools. MacPherson says she found out about Good Willbot through social media. Although she says she was anxious about planning the event, Good Robot made it easy. The event raised $281. 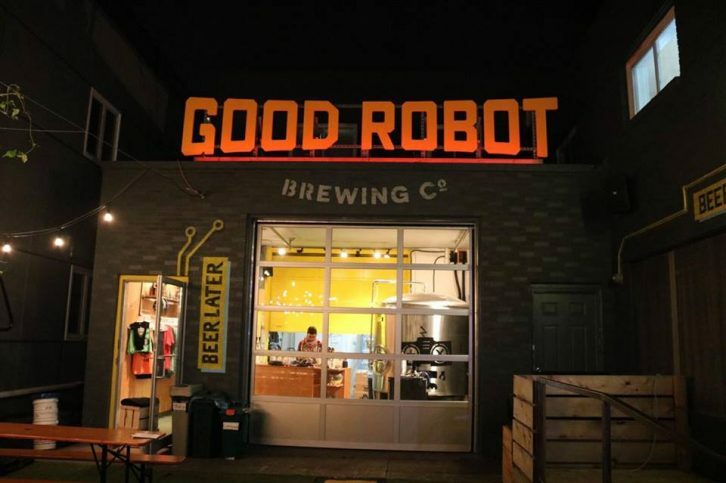 Last month, the neighbouring Centre for Islamic Development and Ihsan Academy called for the cancellation of Good Robot’s liquor licence. The centre filed a formal complaint against the brewing company to the Nova Scotia Alcohol, Gaming, Fuel, Tobacco Division. The centre released statements complaining of loud music, a marijuana smell, loitering and needing to pay higher insurance and security costs. “Bottom line is, things are good are and it largely stemmed from a major miscommunication; we just need to open up the lines a bit more,” says Counsil. Juan Carlos Canales-Leyton, a member of the Islamic centre, feels the brewery acted “promptly and decisively” to resolve the issue. “There is no doubt that they took us very seriously,” says Canales-Leyton. He says the centre’s concerns were based on Liquor Licensing Regulations that protect neighbours’ rights to “the quiet enjoyment” of their property. “The nature of our organizations are completely opposite but this will not stand in the way of working together to achieve a cordial co-existence,” says Canales-Leyton.